I decided, after giving it much thought, to buy 300 shares of Apple. I think it's a good long-term investment. And I spend so much on Apple products, maybe this is a way to recoup some of that money, or maybe to spend even more. BTW, the share price is approx $165, so that's about $50K worth of stock. I like Jeff's post, I said, but I'd add that it would have worked out better if the Mets had sucked more at the beginning of the season and been strong at the end than the way it worked out. 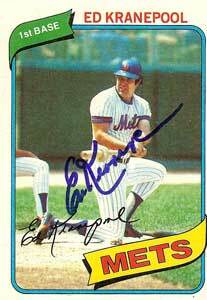 Choo Choo Coleman, Rod Kanehl, Bud Harrelson, Frank Thomas, Marv Throneberry, Ed Kranepool, Ed Charles, Bob Shaw (lived next door to us in Queens, mowed his lawn as a kid! ), Gil Hodges, Duke Snyder, and on and on. Tommy Agee! Casey Stengel! These were the canonical Mets. They're smiling down from heaven or wherever they are (some are still with us, for sure) thinking how appropriate that the Mets disappointed this crop of fans, who actually expect them to win because that ain't the way it works!! And baseball can teach us about life -- I'm serious about it. Because no matter how much fun life is, we all end up losing in the end. Sorry to be the bearer of bad news, but it is the truth. Enjoy it while you got it, cause it ain't gonna last. You Gotta Believe is a better slogan during the season than after, when all the lessons of the previous season are available, and belief is pointless, because we now have knowledge. We know how it turned out, it's no longer a matter of believing. To me, the perfect Met is Mookie. Because he's the bridge between the Lost Mets, the ones who'll never come back, and hope that at least some of the hapless wonderful loving spirit of that team is still with us. I'm afraid, however, that next season may be the last season of hope, because it's the last year the Mets will play in Shea Stadium. They won't move far, to a stadium they're building in the parking lot. My first choice would have been they always play in the home stadium, like the Cubs or the Red Sox. I enjoyed ridiculing Seattle for destroying their own stadium, asking if a church ever destroys a sacred shrine, but now it's happening to the Mets. Maybe someone in charge will come to their senses and think of the good thing we have going in Shea Stadium, and instead aim the wrecking ball at the new stadium when the time comes. Or it could be that I've outgrown baseball then, and it's time to move on to whatever comes next. Web access on AT&T's network is much faster in NY than it is in the Bay Area. Twice in the last two days I've had my MacBook Pro reboot when I close the cover and put it away. The trick I've discovered, and share for all to follow is to put the laptop down before closing the cover. That way the disk won't get jarred when the MacBook is going to sleep. Apparently if there's a problem in sleeping it just restarts. Not 100 percent sure this will always cure the problem but it did work twice for me. Interested in knowing if the theory is correct. I love an interesting technical problem, esp one that's about human behavior, and how to give people what they want even when it puts stress on a system. Okay so here's the problem. 2. A bunch of new users came on, some of whom don't understand the feature in all its fullness (not their problem, it's mine). 4a. In the future, when there are 200,000 Twittergram users, this will piss off the folks at Twitter when they realize they're spending a million dollars a year sending junk messages to people who don't want them. Here's a screen shot that illustrates. I have some thoughts, I'm interested in what the readers of this blog think. Post your comments here. Last update: Monday, October 8, 2007 at 2:29 PM Pacific.